Hereditary disease is a fact of life for all living beings including dogs. Any hereditary disease can cause physical and mental complications. Genetic testing of studs (male breeding dogs) is recommended for all registered breeders in Australia to ensure that no known diseases are passed on through generations. The Australian National Kennel Council (ANKC) is working with national breed councils, individual breeders, and Australian universities to learn more about genetic disorders and how they can be identified, researched, and eliminated. A small percentage of dogs will inherit genes that allow physical problems such as hip dysplasia, and neurological disorders, to develop. Through ANKC supported research, tests have been developed to accurately identify a range of genetic disorders in dogs such as hip dysplasia and osteochondrosis. Research has also revealed the causes of genetic diseases and calculated the risk of passing on the disease. "Breeders responsibly control their dog's breeding habits, and can therefore breed selectively to try and rid future dogs of disease. We recommend DNA testing for all stud dogs so that breeders know all they can about their dogs' health and the health of future litters. The process of phasing out genetic disease takes time and hard work, but pro-active breeding is already showing promising results. ", says veterinarian and ANKC spokesman Dr Peter Higgins. The ANKC is working actively with research centres, national breed councils, and individual breeders to reduce instances of genetic diseases. A percentage of puppy registration fees is allocated directly into the Canine Research Foundation from which funds are used for veterinary research at Australian universities. DNA testing for studs was introduced by the ANKC in 2004. Ethical Guidelines for breeding are also in place as well as an ANKC National Code of Practise for Hereditary Diseases, which states: "members will take appropriate action to reduce the incidence of hereditary disease in their breeds." "The difference between a registered breeder and an unregistered one is that registered breeders are aware of the specific problems of their breed and work to fix them. 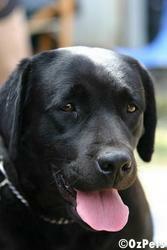 Hip Dysplasia, for example, used to be a problem for Labradors and Golden Retrievers. Proactive breeding has made this condition much rarer than it used to be. Unethical breeders can have their breeder status revoked, and any dogs they breed would not be able to be registered. ", explains Dr Higgins. "It simply doesn't make sense, even from a business point of view, for registered breeders to be breeding and selling dogs with known hereditary diseases. No registered breeder would want to see one of their dogs become an emotional or financial burden for their owner. They breed dogs because they love their animals. ", states Dr Higgins. "By funding veterinary research at Australian universities we hope to learn as much about hereditary diseases as we can. We are also working closely with registered breeders, and national breed councils to eliminate these problems for future generations, and for the good of dogs in general. ", says Dr Higgins.